There are many options for families who are looking for things to do in Israel during the week of the Jewish holiday of Sukkot. The Jewish community of Hevron is hosting its annual Sukkot bash today (Wednesday), commemorating the drawing and water-pouring ceremony at the Holy Temple of Jerusalem. A number of renowned singers and bands are scheduled to perform, with Arutz Sheva providing live coverage of the events. The fragrant grape harvest festival is taking place this week (Wednesday and Thursday, 10:00 a.m. - 4:00 p.m., fee is NIS 45, discount coupon on the website) in the bursting vineyards opposite the Gush Etzion Winery. Bring along your pruning shears and baskets … stomp on grapes in the wine press … express wine … and learn about the sugar content of grapes in a special lab for children! A chef's corner is offering food tasting with dishes containing grapes and wine (kashrut from the local Gush Etzion Regional Council), with competitions to win a prize for those ages 18+. The winery is also offering a guided tour, a treasure hunt in the vineyards, arts and crafts, face painting, displays and a Gymboree for the little ones. Artists are selling their works, there is food for sale, a Sukkah in which to dine and a vineyard photography contest. Other attractions available in Gush Etzion this week including hikes at Herodian National Park, the Kfar Etzion Field School, paintball, jeep tours, a water hike, a tour of the Lonely Tree beer brewery, sound and light show, and more. For more information, call 02-941-0124. A trip to the Jewish community of Elon Moreh in Samaria (Shomron) means a visit to nearby Mount Kabir, a breathtaking site where the town has set up an extra sukkah for the convenience of those who want to picnic and barbecue. In Elon Moreh itself, the town has doubled the size of its municipal sukkah in anticipation of the crowds of visitors, and tours are conducted at all hours by specially trained youths. 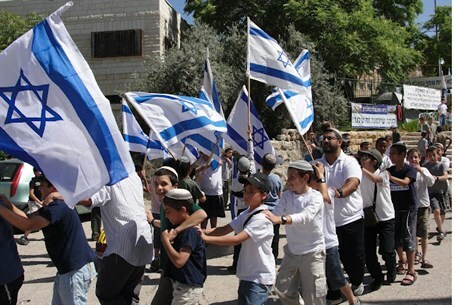 On Thursday, the World Mizrahi Organization has opened its tour of the Shomron as well. Although not free, the tour is quite extensive, a full-day affair from 9:30 a.m. To 6:30 p.m. It includes a trip to the Psagot Winery, a visit to see farming in Shilo, the communities of Har Bracha and Har Grizim, as well as a stop at an army base for a briefing on security in the area. In addition, participants will attend a ceremony to lay a cornerstone for the new synagogue of the former Gush Katif community of Netzer-Ariel. Places are limited: for more information on this particular event, please call 02-620-9004.